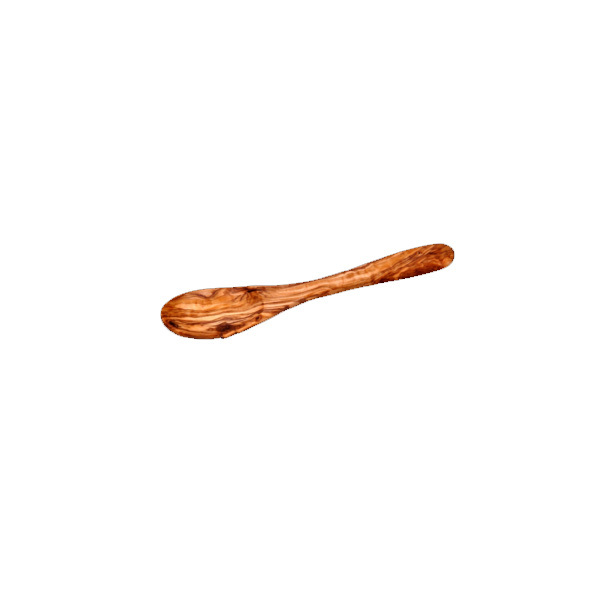 The Olive Wood Spoon is a sustainable hard wood, well known for its special texture. Each piece is unique, the small spots and colour differences are not defects, but the real nature of olive wood. Olive Wood Luxury have designed an olive wood spoon that has both a beautiful grain and dense, durable character that will last a lifetime. Olive Wood Luxury is the proud manufacturer and exporter of the world’s finest olive wood products including Salad bowls, cutting boards, Tablewares and utensils. Located in Sfax/Tunisia, products are made by an experienced team of hard working artisans in a safe and responsible environment. They take great pride not only in the outstanding quality of their products but in the environment in which they are made. Every product is made ethically and in a socially responsible way, handmade, food safe and natural. Hand wash, periodically with mineral oil.